If we are serious about our music, our progress with our repertoire and our technical and artistic development, we need to establish good and regular practising habits, as regular as cleaning one’s teeth. No one, not even professional musicians at the top of their game, is born with an innate talent which negates the need to practise and to hone one’s skills. Regular practise equals noticeable progress. The days when you don’t feel like practising are the days on which you should be practising. Even if it’s nothing, or it’s awful, or you feel you achieve little, it’s important to do it, to prove you can still do it, and that you are constantly feeding the artistic temperament and oiling the gears. The activity of playing and practising creates momentum. There is negative momentum in not practising. Miss a day, or two days, or three, and you might start to wonder why you bothered in the first place, whether this activity is really for you? You stop being a pianist and turn into Not A Pianist. The more you don’t do it, the harder it becomes to convince yourself that you should be doing it, and the more likely you are to procrastinate. Fight inertia with activity. Go and practise! Practising is energising. The physical activity of playing the piano releases endorphins, the same ‘happy hormones’ which produce that feel-good glow that comes from a good gym workout or a run. You could argue that forcing yourself to practise will be counter-productive. Believe me, it’s not. Even if you’re just doodling, improvising, playing chords, scales, cadences, it’s the act of doing that is important. When I was learning to drive, as an adult in my early 30s, my instructor told me to get as much time at the wheel as possible, whether I was practising three-point turns or simply experiencing the activity of driving. 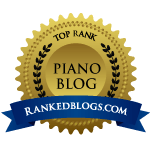 Piano practise is the same – and you don’t have to be working on set repertoire to be doing something useful. Practising is an act of doing, creating, living with the music. It defines who we are as musicians and gives us a reason for being. Live and breathe your work, begin every practise session with the question “What can I do that’s different today?”. Feel excited and stimulated by your music. Fall in love with it. Remind yourself that it is a huge privilege to be allowed to play these great works, works that rank alongside Aristotle and Shakespeare in their magnitude and importance. One can feel like a conservator, or a gardener, taking responsibility for them, sharing them with others. It is a cultural gift, a gift to oneself, and a gift to those who love to listen to the piano. On the days when it’s hard to practise, that’s when it’s most important to practise.